will be closed for their 5K run on April 29th. We apologize for any inconvenience this may cause. 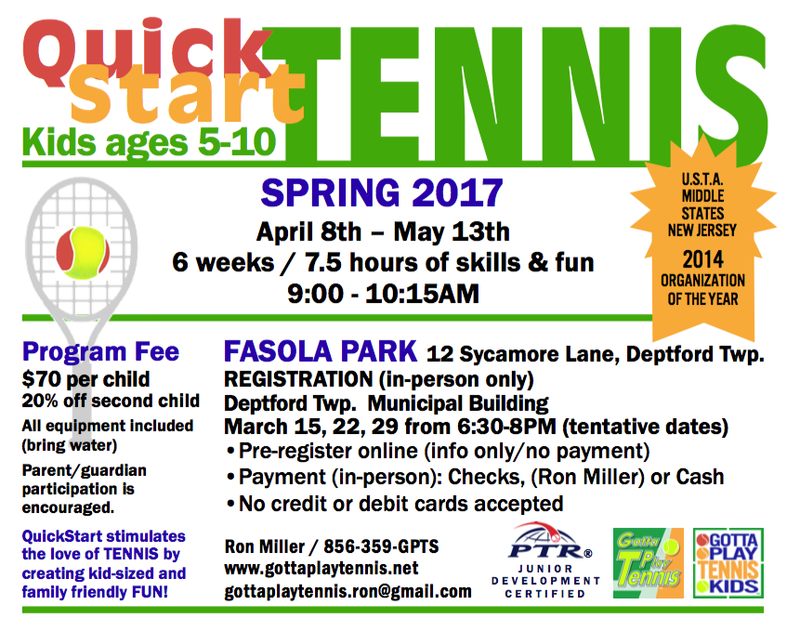 If you are concerned about this last-minute change, please contact Deptford Twp. Recreation as they continually keep changing Fasola Park availability. 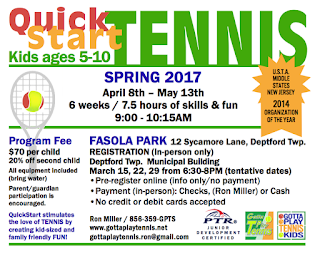 QuickStart Tennis will run for 5 Weeks and NOT 6 Weeks as originally scheduled. Total hours do not change; only total weeks change. Deptford Twp. Tennis is CANCELLED for today, 4/22/2017, due to rain, wet courts, and a forecast of no sunshine and more rain.